While Government-imposed restrictions on immigration can reduce overall migration, they can also be ineffective or even counterproductive, pushing more would-be migrants into unauthorised channels, finds new UCL-led research in collaboration with Royal Holloway and University of Birmingham. The study, published today in Proceedings of the National Academy of Sciences, investigated how individuals are likely to move from one country to another based on varying levels of restriction. In particular, they looked at student and high-skilled visas, low-skilled and family visas. The team found that restricting students and those eligible for high-skilled visas does little to change the overall volume or composition of incoming migrants. Whereas restricting family and low-skilled visas appears to reduce overall migration, but also diverts a significant portion of aspiring migrants to unauthorised channels. Illegal reorientation is especially problematic when government restrictions are placed on family reunification, where roughly a quarter of all those who would have migrated legally would, instead, move abroad through illegal channels. 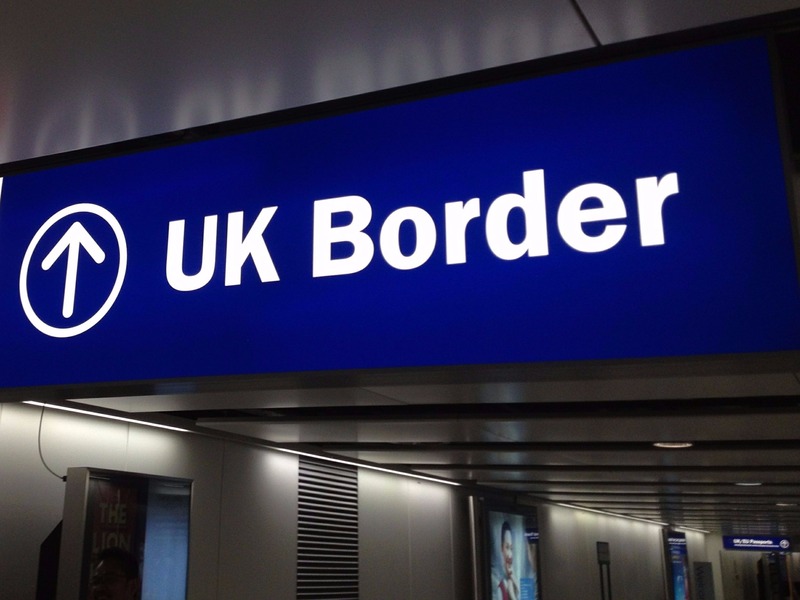 Lead academic Miranda Simon (UCL Security & Crime Science and UCL Political Science) said: "We show that even minimal visa requirements can significantly reduce immigration, but this comes at the cost of reorienting aspiring migrants towards unauthorised channels." "The largest reorientation towards unauthorised channels happens when the family route is closed, because it is the most easily accessible out of those considered. "When restricting immigration policy, governments need to consider that they are also reducing aspiring migrants' already limited options for legal migration." The study found that under a baseline policy scenario in which anyone could migrate as long as they met minimal visa eligibility requirements, only 44 per cent of aspiring migrants moved abroad through legal channels. When further restrictions are added, such as limiting work allowances for student migrants or increasing sponsorship burdens on families abroad, legal migration becomes increasingly difficult. Restricting low-skilled worker or family migration reduced immigration by 21 and 32 per cent respectively from baseline levels, but also increased unauthorised immigration by 14 per cent and 24 per cent, respectively. Results also show that enforcement of unauthorised migration is generally not an efficient solution as more than 80 per cent of unauthorised migrants would need to be apprehended to offset the effects of legal restrictions. Researchers used a data-driven, agent-based computational model (ABM) to examine migration for one corridor - i.e. individuals moving from one origin country to one destination country - to examine the effects of immigration policy restrictions on common channels such as family reunification, student, low-skilled work and high-skilled work across major destination countries. The findings have been suggested previously but are difficult to prove due to the complex nature of migration. Co-author Dr Cassilde Schwartz (Royal Holloway, University of London, Department of Politics and International Relations), said: "It's extremely difficult to measure unauthorised migration in reality, as it is often clandestine and unobservable. Our empirical results indicate that most people who wish to move abroad are not willing to consider migrating illegally. Using experimental survey techniques, we found that fewer than 20% of aspiring migrants are willing to consider illegal channels. Of course, when visa policies become too restrictive, they are left with few options." The study looked at a single migration route, originating from Jamaica. Jamaica represents an origin country with a high number of aspiring voluntary migrants, who are more likely to migrate for severe economic pressures, rather than war or conflict. The results could be applied to countries with a similar economic situation although the percentages are specific to this route. The paper does not model migration into a particular destination, instead it is an abstract destination defined by popular migration policies from across the world. The research was funded by the Leverhulme Trust and the Engineering and Physical Sciences Research Council, and was awarded to UCL Department of Security & Crime Science. The research was carried out in collaboration with Royal Holloway University of London Department of Politics & International Relations and University of Birmingham Department of International Development. Co-author David Hudson, Professor of Politics and Development at the University of Birmingham, said: "Due to the data and methodology used, this research presents an important step in generating credible estimates of the impact of policy change on migration flows. "Our research clearly demonstrates that, while restrictions on immigration do decrease legal migration, this has unintentionally led to an increase in illegal immigration flows which results in a costly and unsustainable need for greater border enforcement. "Looking to the future, more research is necessary to collect data on world-wide immigration, while also assessing the impact of policy on other countries."